Most of the time I do. I hang out on my couch and watch TV while I work away on my latest project. But as often as possible, I knit with my best friend. We plan a night to have dinner, put a movie on for the kids and gossip while we stitch away. We started knitting at the same time. She has surpassed me in her knitting skills. I just don’t have the attention to detail that she does. I’m on my second scarf (pictured) and she’s knitted hats, several scarves and is even doing something with cables. CABLES! Knitting together, rather with close friends or as part of a knitting group can help you hone your skills and give you new ideas for projects. But most of all, it’s fun. 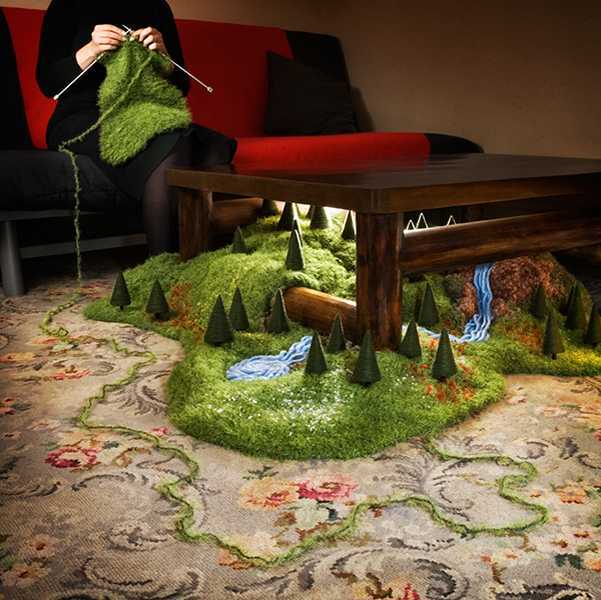 Not sure where the local knitters get together? Call your local yarn store or check Ravelry. See more of Magdalena’s art. Alpaca Mini Socks Pattern from Classic Elite Yarns – pattern for these adorable little socks is free. Make a bunch and create a nontraditional advent calendar. Pretty in Pink: Knit a Playful Pink Ribbon Hat – granted, this post and project idea was designed for October’s Breast Cancer Awareness Month, but each of my sisters would love something like this. 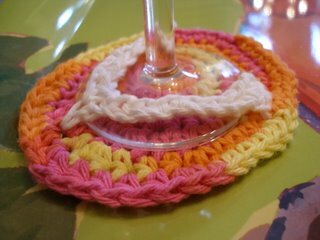 Glass Flip-Flop Crochet Pattern – I was just at WineStyles this week and saw some wine glass flip flops that I thought were pretty cute… not quite as cute as handmade, though. These are adorable and come via The Crochet Dude. Puff Daddy is in the House – I would love this! It looks easy and quick and tons of fun. You can get the info and the pattern via Mason Dixon Knitting. Delores Park Cowl – A one-skein project that knits up quickly and I can imagine it in a variety of colors for mom, best friend, office mate… who knows! I might have to try this one. 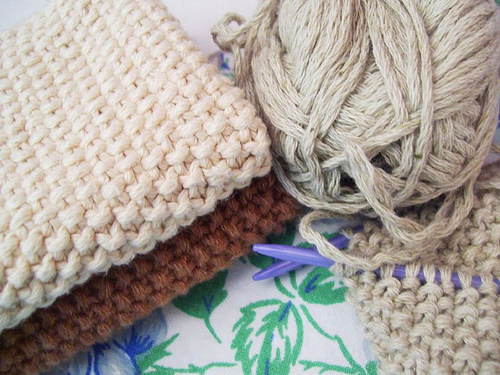 Right now, I’m leaning toward creating little “bath kits” with a knitted (or crocheted if I can get my act together on that) washcloth with a bar of homemade soap (not by me, but from my local crafter’s market) in a pretty bag of some sort. There are tons of patterns for washcloths and dishcloths on the internets. 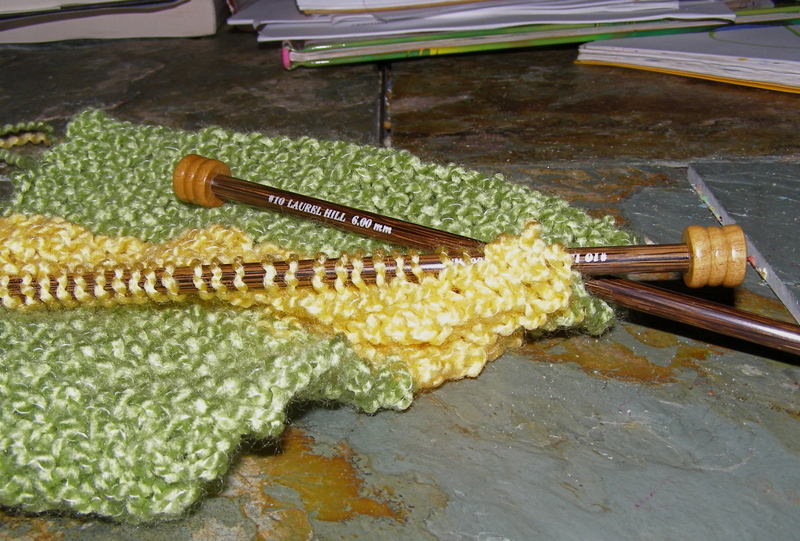 I like the Bernat pattern for knitting. And finally, humorous look at “knitter’s calculus” from Mary Mooney at K2TOG.